Last night for dinner we had “sweaty” chicken. Our cook, Urbano, told us they call it that because you have to chase the chicken around to catch it, and by the time the chase is over the chicken has worked up a sweat. Urbano is a local villager who cooks all of our meals. 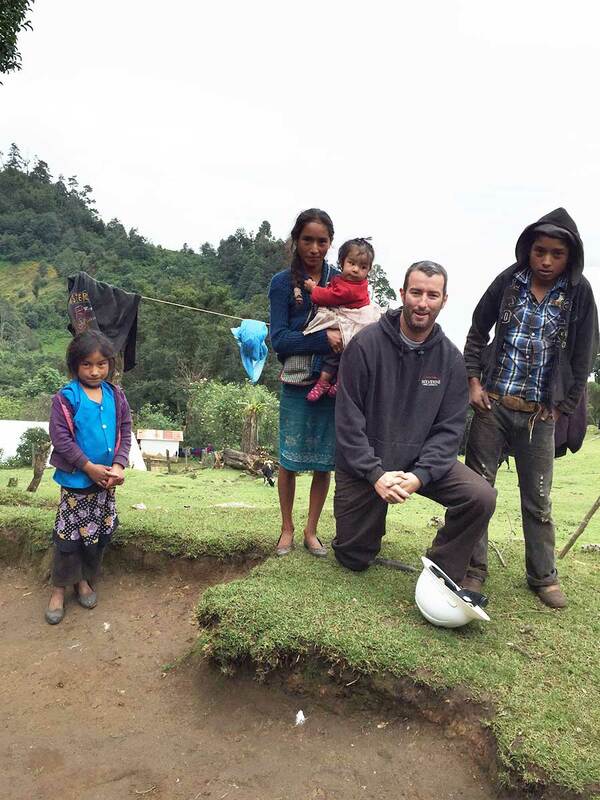 Every few days he and the translators head down the mountain to Mexico to bring back food and water. I’m pretty sure that rice and beans have a permanent spot on their grocery list, because they’re served with every meal. After dinner we came back to camp and noticed that many of our clothes were missing. No one knew where they’d gone. The mystery was solved this morning when we stepped outside and saw our clothes hanging out to dry on a clothesline (pictured). Come to find out, some of the women in the village washed them for us. Today will be a challenging day of work, but the end of the project is in sight. All that’s left is to connect two large spans and 10 houses. But the span we’re attacking today is up a very steep part of the mountain — it’s the part of the project we’ve been avoiding since we got here. It’s going to be difficult, but I know we can do it. Working with this crew has exceeded my expectations. -Contributed by Wolverine Safety Coordinator, Matt M.
How sweet was that for them to wash your clothes for you. Nice picture Matt! What thoughtful appreciative people. You guys rock. When I was in Costa Rico the rice and beans was basic to their meals also. Glad to here the women are helping you out washing your clothes, it’s a mother thing. It melts my heart that the women washed your clothing. Such an act of kindness further confirms to me that we are so blessed-too often we take the simple pleasures in life for granted. It is nice to hear from you Matt, and I’m glad things are going well! Matt, sounds like once you get to the top of the mountain you can really say your on the downhill side of the project. You and the guys keep hammering away at it. It’ll be worth the effort, I’m sure.